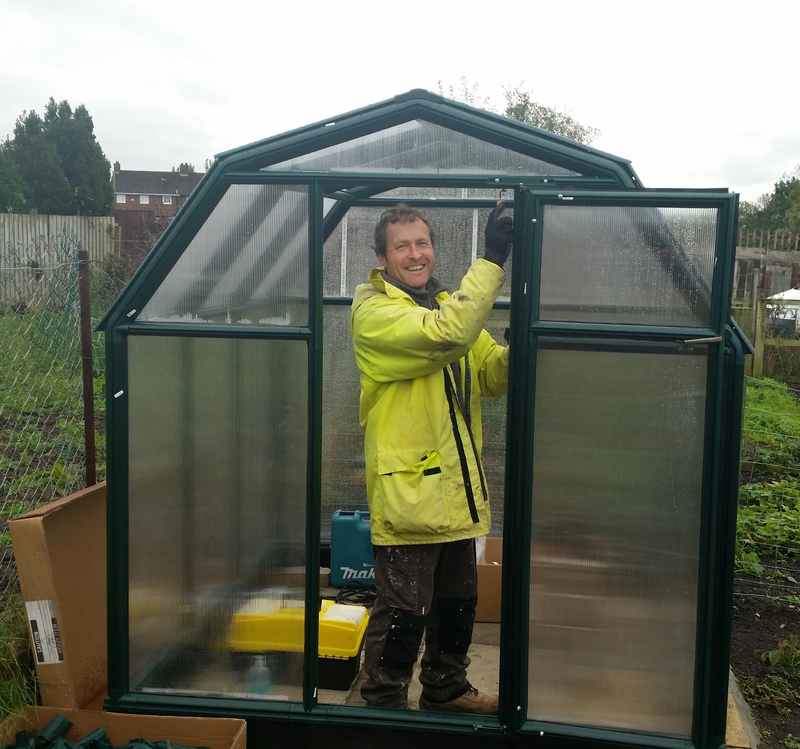 This greenhouse, which I must mention was of a good quality, was assembled at Thornaby allotments. Took a day and a half as all the side glazing had to be sealed with a rubber hosing. Bolted the base down to stop it from blowing away. Very sturdy. 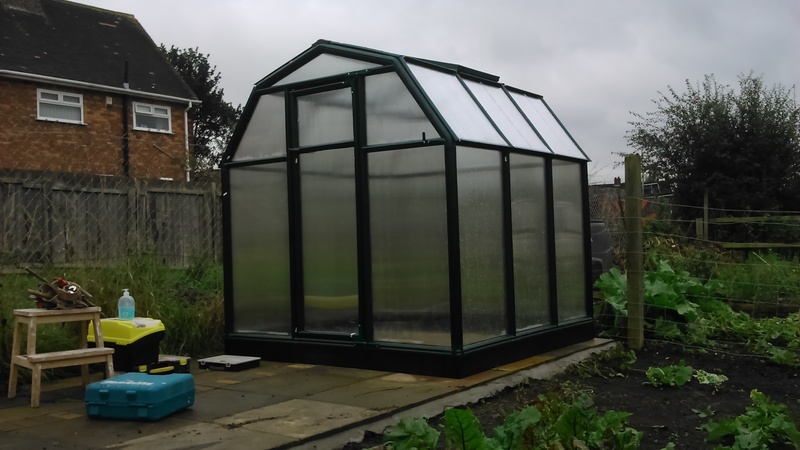 This entry was posted in Uncategorized and tagged Greenhouse assembley by Ashtons Handyman Property Services. Bookmark the permalink.